Click here for full paver catolog! Below are two cross sections that illustrate how we install regular and permeable pavers! Pavers are rated to be 4 times as strong as a typical concrete slab, which means they can handle 4 times as much weight on their surface before they crack. Due to the installation process and their interlocking system, paving stones are extremely flexible allowing them to disperse the pressure or weight evenly, which prevents cracking. 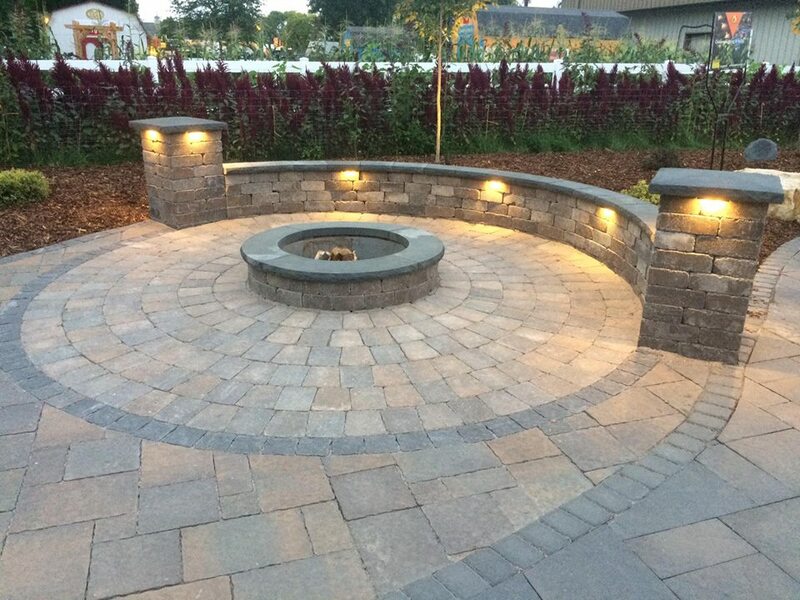 If any settling should occur, the stones can be lifted, the base can be re-compacted & then the pavers can be set back into place looking brand new. This is different from cement which only does two things, get hard and crack. Concrete slabs can also be very slippery when wet. Pavers are made to add traction & prevent slippage making them ideal for driveways & pool decks.